My friend Michael Sherrard recently wrote a book called Relational Apologetics, in which he aims to help Christians defend their faith with love and respect. It’s an excellent book that I happily endorse. Mike was kind enough to answer a few questions about his book. 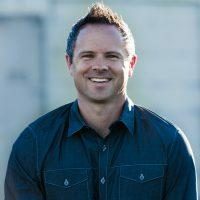 SEAN MCDOWELL: Why did you write a book on relational apologetics? MIKE SHERRARD: Well, to be honest, it was because a friend of mine wrote a book and I thought, “Well shoot, if he can write a book so can I.” Nothing like good brotherly competition. I suppose you can take this two ways: one in which you see me as an arrogant you know what or one in which you see the value of a good Christian community that spurs you on to good works. I choose the latter. But I wrote about Relational Apologetics because more than answers, we need to know how to talk to people and build relationships. Apologetics is booming. We live in age of unprecedented resources. There does not exist a question for which there isn’t a good answer. But having answers and knowing how and when to deliver them are quite different. Furthermore, answers are not all that is needed. I mean, how many times have you given the “right” answer and it did no good. We sometimes believe the lie that if I can just insert irrefutable evidence into my conversations then all will bow before Jesus. It doesn’t usually work that way. Often what is needed is a relationship that affords time for difficult questions to be answered and painful experiences to be healed. One-liners may win the argument. But we aren’t simply out to win arguments are we? SEAN: You talk about the "humble apologist." Some would say that's an oxymoron. Why is humility important for apologists? MIKE: I have found that my humility brings out the humility in others, and humility is essential to coming to Christ. The proud do not see God. You see, humility disarms. It brings down the other person’s defenses. And when someone’s guard is down they are more likely to see through their emotions and consider what you are saying. When I am humble enough to admit that I don’t know something, or I am able to admit that the other person has made a good point, it affords them the opportunity to do the same. And then, their humility and lack of defenses make them more open to hear the truth of what l’m saying and respond to it in a positive manner. SEAN: What mistakes do you see apologists often making? MIKE: Placing too much confidence in their knowledge and finding their identity simply in what they know. That’s why losing an argument is never a possibility for most apologists. Being the “smart one" or the “answer man” is who they are. And they will fight and fight until you bow and say the most precious words to them, “You are right.” They fight so hard because what they are protecting isn’t really the truth; it’s themselves. I understand the struggle, especially when your livelihood is attached with being the one that has answers. But saying I don’t know, or giving someone the last word even if it makes them think they “won” are things that actually cause people to respect you. And it makes your next words much more powerful. SEAN: In chapter 6, you discuss the importance of asking questions. What makes a good question? Why are questions so powerful and important? MIKE: Questions that allow you to understand a person’s position better by causing them to explain themselves are the best kind of questions. First, effective apologetics require that you actually know what position a person holds. We often respond with text book answers, but people don’t hold textbook beliefs. Christians get a bad rap for not knowing what they believe. But no one in America seems to know why they believe what they believe. We live in a soundbite culture with people that hold beliefs with a 140 character limit. If you just respond to the position you think a person holds you won’t be effective. You will be answering a question they don’t have or making an argument for a position that isn’t theirs. So asking questions can really help you to know a position as a person holds it, not your textbook. Second, when asked something like “How did you come to that conclusion?” many come to find that their positions isn’t as strong as they once thought. Questions are powerful because they make us stop and think. We often don’t know why we do what we do or think what we think. Questions make us consider our beliefs and actions. This is good. Many beliefs have no good reason to exist, but they have become part of our lives over many unthinking years. Asking questions is a way to bypass the natural defenses that arise in conversations of faith and allow the attack to come from within. SEAN: Why do you have a whole chapter on listening? Aren't apologists supposed to have all the answers and do all the talking! Listening also helps you remain calm in conversations. When you listen, and listen well, you are listening not only to people’s words but also to their tone and the feelings they convey. You can see that they are hurting or that they feel alone. You can sense the bitterness from something in their past. You can see that they are just like you. When you listen well, you see a person and not just an opposing position. SEAN: How do you think the wider church views apologetics? MIKE: I think the church is coming around to apologetics. My inbox certainly reflects that. It is filled with pastors and church leaders that want to know how to equip their teenagers so they can withstand the attack on their faith and be articulate defenders of Christianity. There is certainly still opposition to apologetics, though. But if apologists served more I think it would help. An appreciation for knowledge does not come from a lecture or sermon. It comes through a relationship. I trust people who I know are committed to me. Not just people who think they are smarter than me. For example, let your pastor know you care about more than apologetics: you care about him and his family and you care about the church. Take your pastor to lunch. Mow his grass. Watch a ball game together. Join the nursery rotation. Chaperone a youth event. Be a greeter. Laugh together. Don’t merely pester him about apologetics. If you want a pastor to use your gifts, to see the value in apologetics, he must trust you. And it takes more than your knowledge to earn the trust of your pastor. It will take your life. No one wants your knowledge if all it has done for you is make you proud and uncaring.